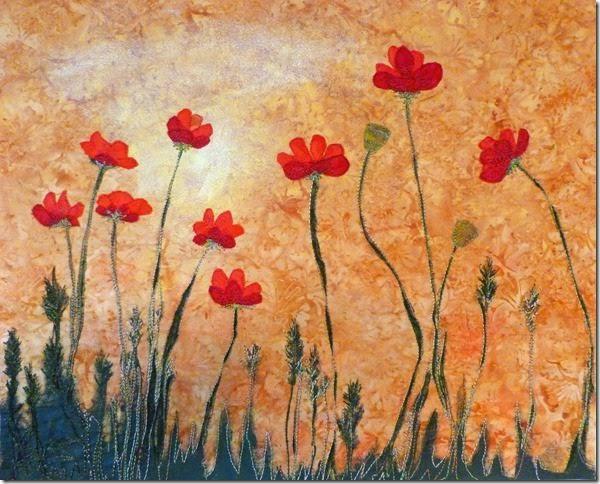 Ashland Art Works on Oak Street is pleased to welcome new artists, Bonnie Morgan and Angelica Stewart. Bonnie is a potter with a delightful diversity of works – and who loves teapots! Angelica makes beautifully woven scarves, table toppers, small gift bags and much more. 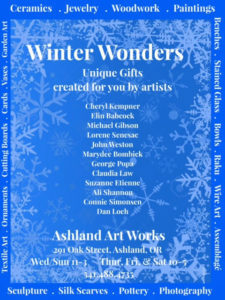 Please note: Ashland Art Works is closed for the remainder of January due to icy conditions on the walking paths. In February AAW will be open from 11 AM to 3 PM on Wednesday, Thursday, Friday and Saturday. The galleries will be closed from January 8th thru the 31st and opening again February 1st.